Ruizhou flatbed cutting machine is specially developed cutting solution for footwear and garment industry. Based on vacuum-suction system, it is able to create accurate footwear and garment patterns on standard pattern paper, cardboard, or PVC sheet. With the introduction of servo motor, its high cutting speed helps you to improve your production efficiency dramatically. Easy to use Ruizhou tables are easy to install and simple to set-up and use. 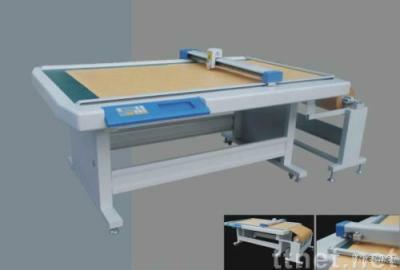 The table is programmed for use with Ruizhou RECAD software, which apart from the manual adjustment for the depth of the knife, will reduce the need for hands-on setup of the table. Saves time and money whilst improving quality Eliminates the cost and time you spend cutting paper patterns and making brass bound pattern boards. Greatly reduces the time taken to hand cut sample and graded paper patterns.